GQRP is not a business but a club run by unpaid volunteers. You will find on this page contact details, email/postal, and in some case telephone numbers. Please remember that we have our own family lives, and although we endeavour to deal with your enquiry without undue delay, you should not expect an immediate response. If you telephone and do not get a reply we may be out or indeed on holiday. Please also note that a good many items on this page are reserved for fully paid up members only. GQRP Club announces another exciting new kit. The Matching Sudden ATU. 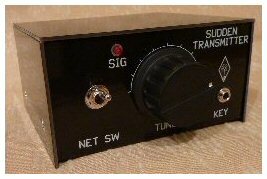 The GQRP "Limerick Sudden" 40m Transmitter Kit to match the Sudden Receiver. To read more please go to the special page. ... and now the matching ATU! To read more please go to the special page. We now stock these coils which are the replacements for some of the popular 10mm 10K TOKO range. Please look at the component list below for the range we hold in stock. We also have a datasheet. This is the 7th generation of Sprat DVD which uses standards based html and has been produced in-house. It should work on all computers which have a web browser. It uses either Adobe Acrobat (which is not included but can be downloaded for free from here), or any compatible pdf reader such as Foxit Reader. This is the latest version covering issues 1 - 172. Online Ordering: You can order the Sprat DVD using Paypal. Whatever country you live in you must pay online in UK Pounds. The currency conversion will appear on your credit card bill at the exchange rate at the time of purchase. Overseas purchasers, you can use PayPal to order the Sprat DVD, but only if purchased directly from the U.K. Our DX reps do not offer Paypal so please do not request this method of Payment. Some DX reps may have stocks of the DVD, but payment to them should be by cheque or cash (see below). Members from USA, Belgium, Germany, Spain & The Netherlands please note. Our EU reps Jos, Jon and Henk are able to take DVD orders for the price of 11 Euro which includes postage from UK club sales. For the USA, contact Dave and the price is $15. Please contact our reps direct, but please note this price and service is only available if you are a member of GQRP club. You can join at the same time as ordering. If you are attempting to use an older CD on 64 bit windows, then see this note which may help if you are having problems. This latest DVD, however, has a 64 bit loader and should have no problems - depending on your security settings. If that turns out to be an issue then browse to the "index.htm" file on the DVD and run that. On the DVD FAQ page the datasheet referred to is missing from the DVD. That datasheet is here. The price is £6 each with a UK postage of £1.20. The EU postage is £3.50 and DX is £4. Keep an eye on this space - and on the back page of Sprat! Please Note - Component sales are restricted to members only. Please download our latest component list in Adobe PDF format. Drew Diamond - Radio projects Vol 1 (Reprinted, with permission, by the G QRP Club). Copyright 1995 by Drew Diamond, G-QRP Club edition 2014 : The original and first Radio Projects book. We sold a reprint (Orange cover) for a few years in the late 90s. Now we have had a reprint with a matching cover to the other 3 projects books. Power Supplies - Receivers - Transmitters - Antennas - Test Equipment.Drew's books all include circuits and hints on building a variety of projects - there are many B/W photographs, plans and diagrams of lots of projects and much much more. Drew Diamond - Radio projects Vol 2 (Reprinted, with permission, by the G QRP Club). Copyright 2001 by Drew Diamond, G-QRP Club edition 2009 : More of Drew's projects continued on from volume 1. Nothing is repeated, construction data and plenty of diagrams. Lots of hints - a gold mine of information for the home constructor. Drew Diamond - Radio projects Vol 3 (Reprinted, with permission, by the G QRP Club). 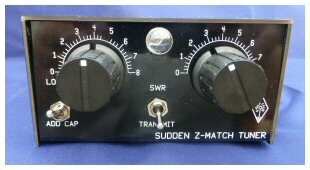 Copyright 2004 by Drew Diamond, G-QRP Club edition 2008 : This third edition has many more projects for the amateur builder. Nothing is duplicated from previous volumes, just much much more of of it. Again all projects are fully described with circuits, diagrams, layouts and construction hints. Another gold mine for the home constructor ham. 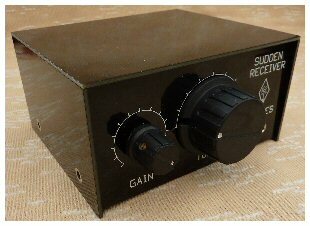 Drew Diamond - Radio projects Vol 4 (Reprinted, with permission, by the G QRP Club). Copyright 2008 by Drew Diamond, G-QRP Club edition 2009 : This is the latest volume of Drew's projects. Again, nothing is duplicated from previous volumes - more receivers, transmitters, antennas and much more. If the third edition was a gold mine, this is a diamond mine of fabulous information for all hams whether beginners, or advanced. We defy anyone to read any of the Drew books and go away without lots of hints and tips they had not thought about before. Some issues are in very short supply now, it would be better to check with him by e-mail before ordering! (or order & pay with stamps, then "change" can be returned). DX : 1st magazine - £3.30 + £1.50 each extra magazine. (Again, sorry about the huge postal charges - posting magazines is not cheap!) If you want more than 2 or 3 magazines, then you can ask me for an exact postage figure. Sprat binders The original 'nylon string' type back in stock again - this time with 16 strings per binder! Black with club logo on spine. Plus postage. One - £2.00 UK, £4.00 EU, £5.00 DX. For membership renewals go here. We now accept (and prefer) Paypal - please see our page explaining how. Payments can also be made by cheques or cash. Cheques must be made payable to "GQRP Club". Minimum order value for cheques and Paypal is £5, however, you can pay by PayPal for smaller amounts but you MUST select the "Friends/Family/Gift" option when paying, as this will mean that they will send us the full amount and not deduct any charge. This also works for larger amounts and helps the club a little. If you have a smaller order, then we accept cash, postage stamps or postal orders by post if you prefer this method. Please note that due to problems with credit cards they are no longer accepted as a direct payment. We can only accept payments with credit cards via Paypal. You may email Graham first to check stock and postage costs at the same email address. Cash payments can be made in GB pounds, or US$ bills, or Euro notes only and should be sent to Graham securely. Remember that you do this at your own risk. Orders may be sent in more than 1 package to keep within postal limits. UK members are asked to pay up to £5 with postage stamps (50p max), postal orders (uncrossed), or UK banknotes (please send securely). This cuts down on our bank charges!